The very popular English rock band was formed in the year 1962 by guitarist and harmonica player Brian Jones, pianist Ian Stewart, lead vocalist and harmonica player Mick Jagger and guitarist and vocalist Keith Richards. 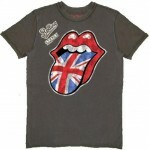 The early line up of the band was completed by bassist Bill Wyman and drummer Charlie Watts. Currently drummer and percussionist and bass guitarist, drummer and backing vocalist Charlie Watts and Ronnie Wood are playing along with Jagger and Richards. The band saw its origin in London, England. The Rolling Stones have released around 22 studio albums in UK and 24 studio albums in US so far along with several live albums and compilations. The worldwide sales of the band are estimated to be more than a whopping figure of 200 million albums. The band was inducted in the Rock and Roll Hall of Fame in 1989. The Rolling Stone magazine ranked them #4 on the list of 100 Greatest Artists of All Time in the year 2004. The band’s latest album ‘A Bigger Bang’ was released in the year 2005.